Sorry for the lack of posts, folks - it's been one technical difficulty after the next over at Culture Bore HQ (my apartment). More long-form posts and commentary coming soon, but as always, you can get your daily dose of intellectual stimulation at the Culture Bore Twitter feed. Page 30 recently had three interesting posts pointing to articles that demonstrate the "language spread as form of cultural power" point I made the case for in my previous post. ""As half of the world's population speaks Spanish we will start a network within the next few months," Ezatollah Zarqami, the head of Iran's state television network, IRIB, announced in Tehran. IRIB broadcasts in Arabic, English and other languages – as well as Farsi. It has repeatedly been accused of illegally jamming broadcasts into Iran it dislikes, most notably of BBC Persian TV and the Voice of America in Farsi. "This new Spanish network will have a major role in reflecting the ideological legitimacy of our system to the world," Zarqami told prayer leaders." Visitors to Korea from China continue to increase every year, but insufficient interpretation is leading to fears of a drop in tourism quality for those visiting. According to a report issued today (4 October) last year the top visitors to Korea came from Japan at 3 million and China at 1.3 million. The number visiting from China is expected to be 1.7 million this year and reach 2.2 million in 2011. However, guides with certification in the Chinese language number just 2,818, which is just a third of those with certification in Japanese at 8,801 and half of those with certification in English, at 4,857. Over the next four years all school children will become English-speaking," Georgian President Mikheil Saakashvili said. "This means that English will be the language they know best after their mother tongue, Georgian. Nothing like this has been done in any of the post-Soviet countries." Georgian TV would also broadcast more English-language films with subtitles in order to help older people get used to hearing English spoken, he added. Analysts said that Georgia, which fought a short unsuccessful war against Russia in 2008, was keen to purge itself of its Russian cultural and linguistic legacy. Russian was the second language and widely spoken in Georgia in both Tsarist and Soviet times. Many Georgians aged over 40 still speak Russian. In a world shifting away from US-led, English-speaking dominance, language will continue to be source of tension, conflict, and political influence in the years to come. Case study #1: the world's richest nations can't function without a steady stream of foreign-born workers with handful of noticeably different cultural practices from the native population. Immigrants account for 16.8 percent of Germany’s workforce, according to 2008 data from the Federal Statistical Office. In Sweden, 15.4 percent of the labor force was born elsewhere. Both countries have unemployment rates -- 7.5 percent in Germany and 7.4 percent in Sweden -- below the European Union’s 9.6 percent average. 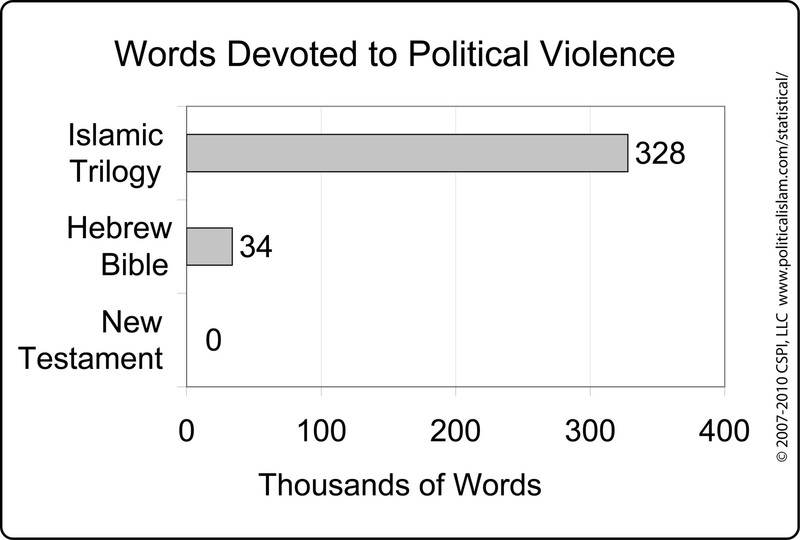 Politicians hostile to migrants often target Muslims in their policy proposals. The minority Dutch government that depends on parliamentary support from the anti-immigrant Freedom Party plans to ban full-face Islamic veils. A referendum held last year in Switzerland banned the construction of minarets. Polls show as many as 70 percent of Germans at least partly support former Bundesbank board member Thilo Sarrazin, who published a book in August that said Turks and Arabs are making Germany “dumber” and living off the welfare state. The Sweden Democrats, which won 20 seats in the 349-member parliament, ran a television commercial in the runup to the Sept. 19 election showing burqa-clad women knocking over an elderly lady as she tried to pick up her pension check. Here, the dominant cultures in the European states ban symbols of the immigrant cultures out of fears of the immigrant cultures dominating in the future. Case study #2: Organization studying dying languages accidentally stumbles upon "lost" Koro language in rural India. Moreover, linguists are not sure how Koro has survived this long as a viable language. Dr. Harrison wrote: “The Koro do not dominate a single village or even an extended family. This leads to curious speech patterns not commonly found in a stable state elsewhere. By contrast, the Aka people number about 10,000 living in close relations with Koro speakers in a district of the state of Arunachal Pradesh, where at least 120 languages are spoken. Dr. Anderson said the coexistence of separate languages between two integrated groups that do not acknowledge an ethnic difference between them is highly unusual. As Dr. Harrison and Dr. Anderson expanded their research, comparing Koro with several hundred languages, they determined that it belonged to the Tibeto-Burman language family, which includes 400 tongues related to widely used Tibetan and Burmese. But Koro had never been recognized in any surveys of the approximately 150 languages spoken in India. The effort to identify “hot spots of threatened languages,” the linguists said, is critical in making decisions to preserve and enlarge the use of such tongues, which are repositories of a people’s history and culture. Here, we see that the vast range of human languages (and by nature, group distinctions) may, in some cases, be held by fewer than 100 people. Although the world population has grown to nearly 7 billion people, not every self-identified cultural/tribal groups has grown accordingly - after all, there are a lot more Mandarin-speaking Han Chinese than Koro-speaking Indians. So like the classic model of natural selection, the more "powerful" languages tend to dominate and ultimately drive other language groups into extinction (see also the history of the European settlers in the American continents). 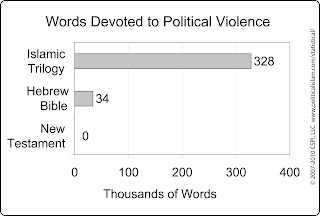 Because most language groups have distinct cultures attached to them, the largest, strongest languages have their cultural artifacts (literature, self-written histories/mythologies, religious texts, stories, jokes, pop culture references, idioms, collective ways of thinking, etc.) come to dominate and replicate with generation upon generation born and raised into the language/culture group. Thus, whatever the largest languages in the world become in the future, the histories written and remembered about today and yesterday will be shaped accordingly. Whether we're talking about a relatively insignificant language in a backwater region of India, or the latest chapter in the Christian-Muslim "Clash of Civilizations" storyline, the ebb and flow of hundreds of "us vs. them" battles between different groups in the same geographic areas will steer the course of the future - and what we remember about the past. Hugo Chavez Does Not Understand The Concept of "International Reputation"
"It's a big airport, how come it does not make a profit?" Chavez said of the Maiquetia airport, which lies on the coast just outside the Venezuelan capital Caracas. "Cuba's Jose Marti airport gives the Cuban government $100 million each year for its operations, planes coming and going. But Maiquetia gives no profits," he added in a TV address. "I've told the new (transport) minister to intervene the Maiquetia international airport." Chavez gave no more details of the problems at the airport that he wanted to root out, but said the measure was necessary to maximize income for the Venezuelan state. "We need to take control of those airports because we need to look after the economy. We can't keep depending on oil." 1. Caracas has a nasty reputation for high murder rates. 2. Chavez nationalizes every industry he can. Individuals and corporations with lots of money tend to dislike their financial assets getting nationalized and thus avoid investing in countries where this happens. 3. The airport isn't even secure to begin with. 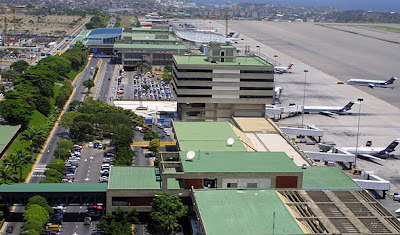 Travel to and from Maiquetía Airport, the international airport serving Caracas, can be dangerous, and corruption at the airport itself is rampant. Both arriving and departing travelers, including foreigners, have been victims of personal property theft and muggings in the airport. The embassy has received multiple, credible reports that individuals wearing what appear to be official uniforms or other credentials are involved in facilitating or perpetrating these crimes. For this reason, U.S. citizen travelers should be wary of all strangers, even those in official uniform or carrying official identification, and should not pack valuable items or documents in checked luggage. With this in mind, it shouldn't shock anyone that the Caracas Maiquetia Airport is hardly a cash cow. Tax credits have recently made Detroit a hub for television and film production - along with several other spots outside of Los Angeles. Regional filmmaking has been on the increase for decades, as southern California became more expensive to work in and overexposed on screen. New Mexico, Louisiana, Georgia, New York, Canada and others have wooed the lucrative entertainment business with tax-incentive packages. The revenue and jobs are welcome, and sometimes buttressed by a little brand-building, perhaps attracting tourists or investment. As places like Hollywood and New York City have become iconic in American cinema, and as the article goes on to note Detroit scenery filling in for Switzerland and Washington D.C., it'll be interesting to see if/how varied film settings across the US change American perceptions of those locations - as well as global perceptions of the United States (since pirated American films can be found just about anywhere in the world these days). The Jersey Shore's Japanese title translates to "Macaroni Assholes"